We are excited to offer a wide variety of programs that connect generations. Sunday morning and beyond, there are so many possibilities for you and your family here. Trinity’s Youth and Family Program not only connects young people with each other, but with generations through the congregation and community. We learn and grow together by having fun, serving, asking lots of questions and being the uniquely gifted people God created us to be. 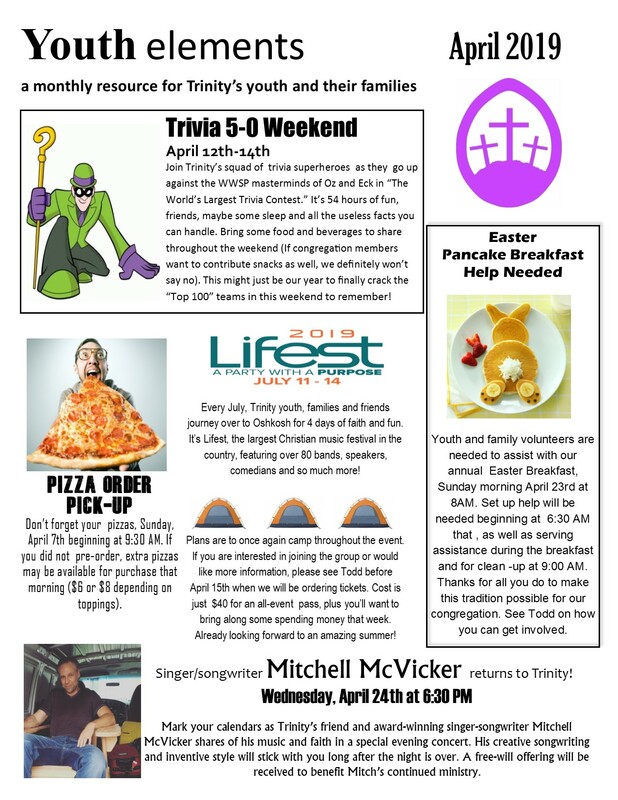 Regular weekly and monthly activities may include bible studies, movies, sports, concerts, community events, youth gatherings, fundraisers and more. Here’s hoping you’ll join us and see the many things God is up to here! Download and view this month’s activities. We have many exciting things happening here for our youth and families at Trinity Lutheran Church. We hope you can join us.